I'm a big fan of Christina and i'm a big fan of Versace, this is serious level 10, the evening gowns is a must have item for all women in the world and in the entire galaxy, unsual colors and materials make Atelier Versace is on my top 3, beside Valentino and McQueen. "Ya allahhhhhhh beeee, kece amat ya pake kopeah ;P"
This headpiece is absolutely came from south east asia, take a look to our official presidential photos, and this headpiece also usually used by many muslims people (male) in south east asia for prays, but i can be our official "hat" for special occassion. So glad that papa Louboutin wearing this "kopiah" at Alexander McQueen Gala, he is admirably great. ahahahahaha, asik ad sempilan profil @LOOKBOOKJakarta di twitpicnya! oh i miss that kind of christina!!!! 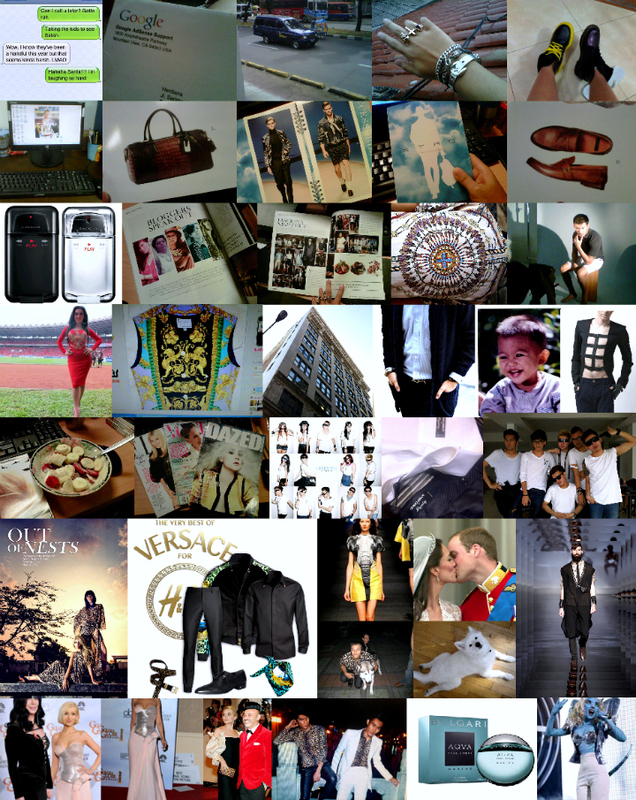 That Versace Polyvore is nice!! !